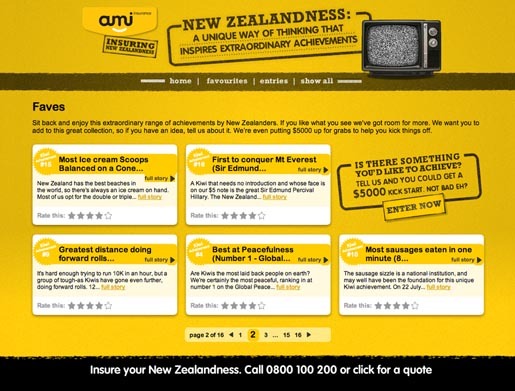 AMI Insurance is trading on being New Zealand owned in its “Insuring New Zealandness” advertising campaign. 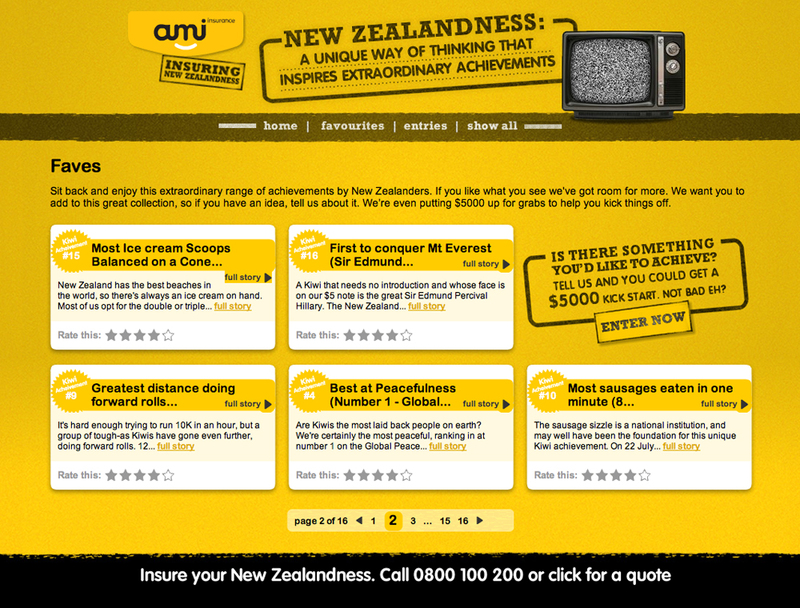 The insurance company is running an interactive site, insuringnewzealandness.co.nz, celebrating the unique aspirations of New Zealanders, from being the first to climb Mt Everest, having the most tattoos through to being the fastest mussel opener in the world. Three TV commercials provide a lighthearted commentary on New Zealand culture, tying in with motor insurance (Weekend Away), home insurance (Backyard) and lifestyle (Doing Stuff). The Insuring New Zealandness campaign was developed at DDB New Zealand by executive creative director Tony Talbot, creatives Rory McKechnie and Damian Galvin, executive producer Judy Thompson and agency producer Tania Jeram, group business director Aimee McCammon and Scott Wallace, senior account managers Tim Cullinane and Maggie Antone. Filming was shot by director Adam Stevens via Robber’s Dog with producers Mark Foster and Andy Mauger, director of photography Ian McCarroll. Sound was produced at Liquid Studios. Offline editor was Peter Sciberras at The Butchery. Online editing was done at Blockhead. End frames were produced at Oktobor.